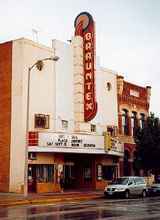 New Braunfels Texas, Historic New Braunfels, New Braunfels Hotels. The Story of our Texas' German Pilgrims: or Death March to Comal County by W. T. Block Jr.
New Braunfels, Texas: Pearl of the Comal-Guadalupe Valley by W. T. Block Jr. Prince Carl of Solms-Braunfels and other semi-nobles from Germany had contracted to settle the "western lands" of the New Republic of Texas. The land grants were to be between the Upper Colorado and the Llano Rivers. New Braunfels and Fredericksburg were originally meant only to be way stations. Carl only spent a short time in the town that continues to wear his name. He returned to Europe in 1845 to marry and never returned. Meanwhile, the society that was to aid the immigrants went broke. By the time the bulk of the immigrants arrived they were stranded (in the truest sense of the word) at Indianola. Hundreds died on the beach and many attempted to walk across a land very different from Germany. Recent arrivals infected the settled Germans with Yellow Fever and hundreds more died. About the only benefit to come from the trek was the settlement of many towns in Victoria, DeWitt and Lavaca Counties. The mural fails to convey any sense of desperation. Prince Carl planned on governing "his" town from the high ground where the Sophienburg Museum is today (401 Coll Street). Arriving about the time Texas was annexed to the U.S., the Germans found themselves in a land at war with neighboring Mexico. 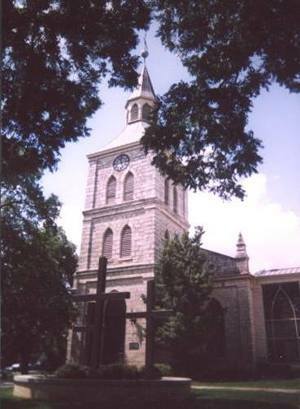 Between the Mexican War and the Civil War New Braunfels was the 4th largest city in Texas. They managed to avoid participating in the war with Mexico, but weren't so lucky when the Civil War broke out a few years later. The International and Great Northern Railroad came to town, followed by the Missouri, Kansas City and Texas. Railroad spurs laid to Landa Park began New Braunfel's tourism industry with excursion trains from towns as far away as Taylor and Elgin. An 1898 design by J. Reily Gordon. 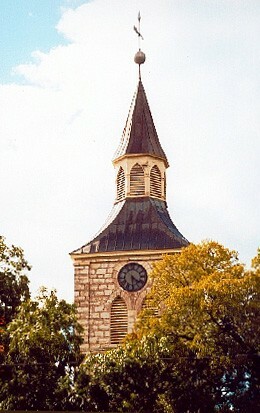 It is nearly identical to Gordon's Lee County Courthouse (1897) in Giddings. An unusual design, but practical. Traffic circles are terrors to those unaccustomed to them, but the corners provide a safe harbor. Reaching the fountain in the center of the island gives one a feeling of accomplishment for having reached it in one piece - the pedestrian can then rest while they consider a plan for re-crossing. The two statues - one Confederate and one "Doughboy" were donated years apart - but both were donated by Mr. and Mrs. E.A. Clousnitzer. There is also a beautiful fountain and a Friendship Tree - symbolizing some sort of bond between New Braunfels and "Old" Braunfels - back in Germany. 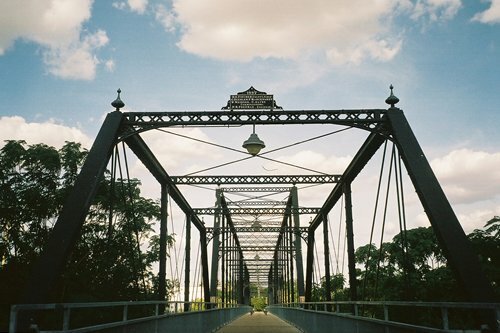 One of the more interesting bridges in this part of Texas is the old Faust Street Bridge c.1887 over the Guadalupe River. The water is usually clear and the fish can be clearly seen. The bridge just underwent a restoration in 1998 and benches have been provided for fish watching. A mural just off the square shows landscapes, flora, fauna and indigenous peoples of the region. There's also an 20-foot image of Ferdinand Jakob Lindheimer - the botanist who spent a good part of his life classifying Texas flora. (c. 1852) is included on the city's driving tour. Many of the plants named by Lindheimer are growing today on the grounds of his former property. 35-acre park home to over 200 species of exotic birds and animals, 2000 species of exotic plants. I-35 South, Exit 182. 830-606-6029. Admission. 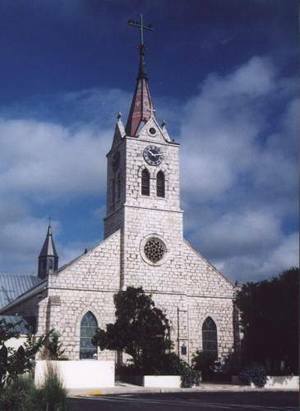 A village established by German immigrants before 1850. Today a popular tourists destination. Includes old homes, stores, galleries, beer hall, and inns. 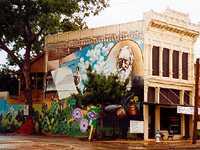 Designated a Historic Town by the State of Texas. 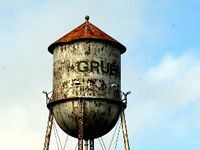 Old Gruene Market Days - the third weekend from February through November, and the first weekend in December. 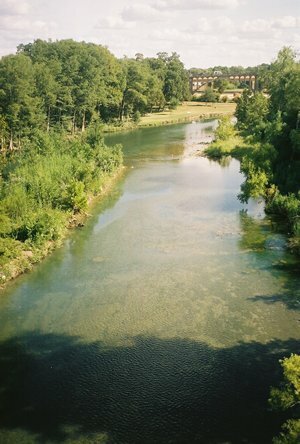 Landa Park/ Comal Springs - Scenic city parknear downtown. 196 acres. Site of the annual Wurstfest. 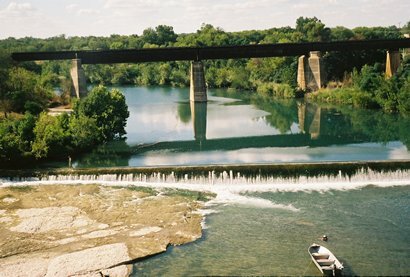 New Braunfels has Texas' shortest river - the 2.6 mile long Comal River, whose source and confluence (with the Guadalupe) are within the city limits. 1257 Gruene Road in Gruene Historic District. Admission. Schlitterbahn - 400 N. Liberty St. 830-625-2351. Admission. RR 32. The road runs the crest of the ridge called the "Devil's Backbone". Vistior Center - I-35 and Post Road. North of New Braunfels. 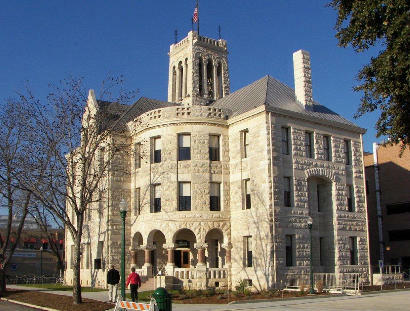 New Braunfels City Hall - (830)-625-6200.